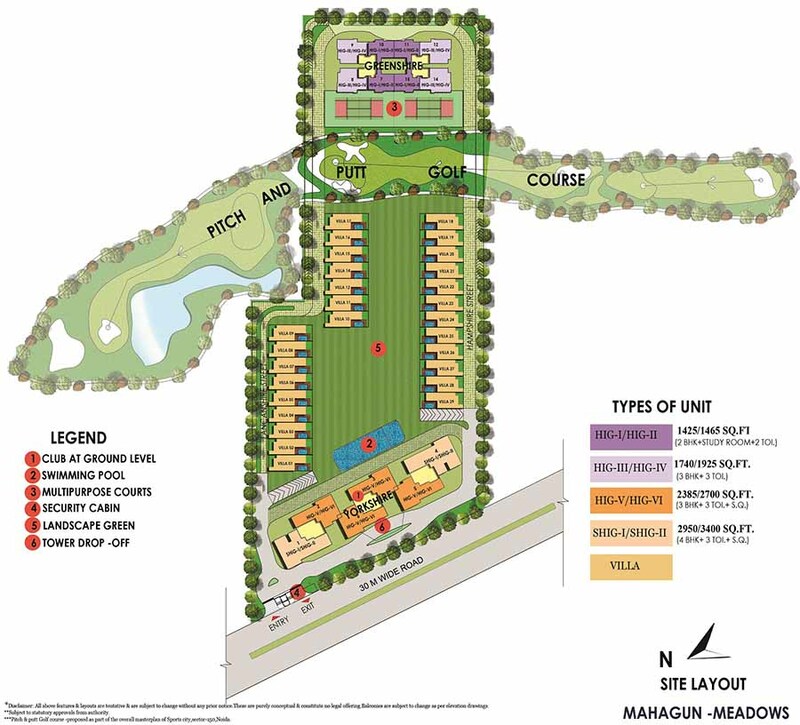 Mahagun Meadows" a Golf course living residential project. The project is based on India green building concept (IGBC) conforming to gold standards. The architecture of meadows is being done by renowned architect Hafeez Contractor and landscaping has been designed by Mr. Sanju Bose. 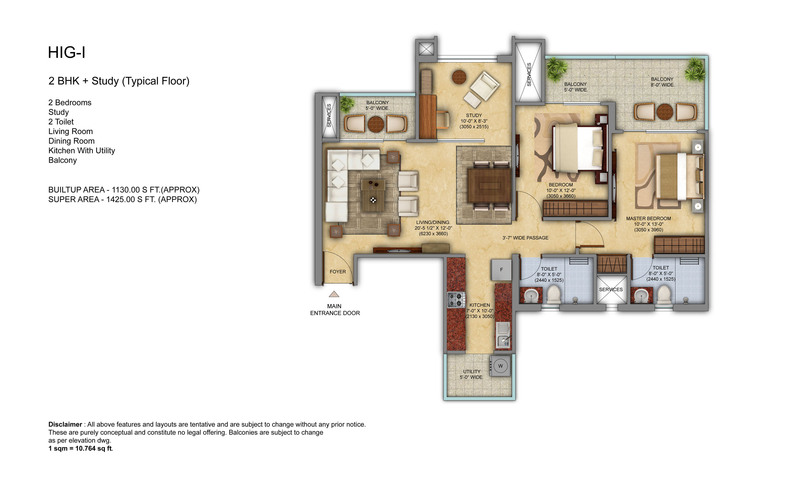 Mahagun Meadows- newly launched project on Noida Sector 150 has advantage of location and luxury. 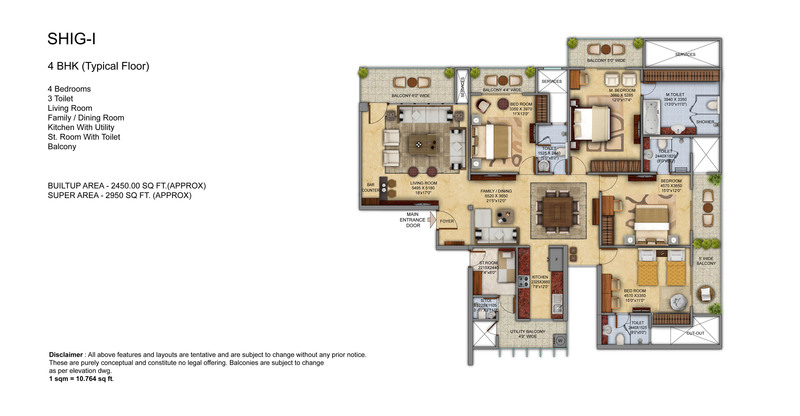 Located on Noida-Greater Noida Express highway. 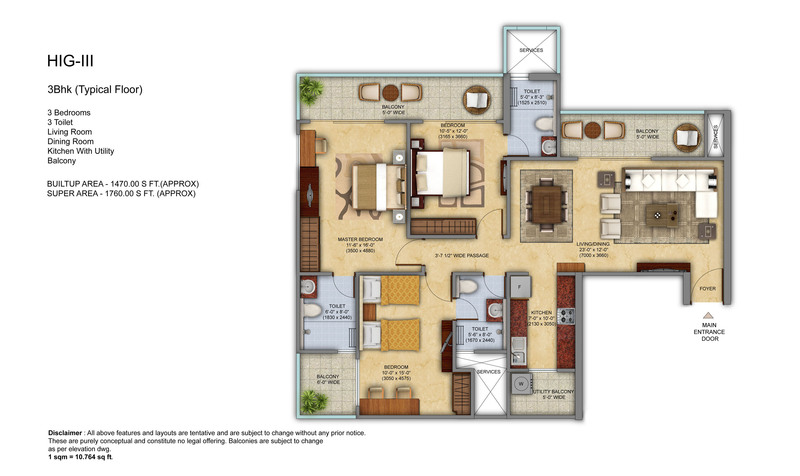 It deals in 2 Bhk, 3 Bhk and 4 Bhk luxurious apartments. It proffers ample of amenities like swimming pool, shopping complex, yoga, gymnasium, meditation, banquet hall, jogging track, indoor games and many more. 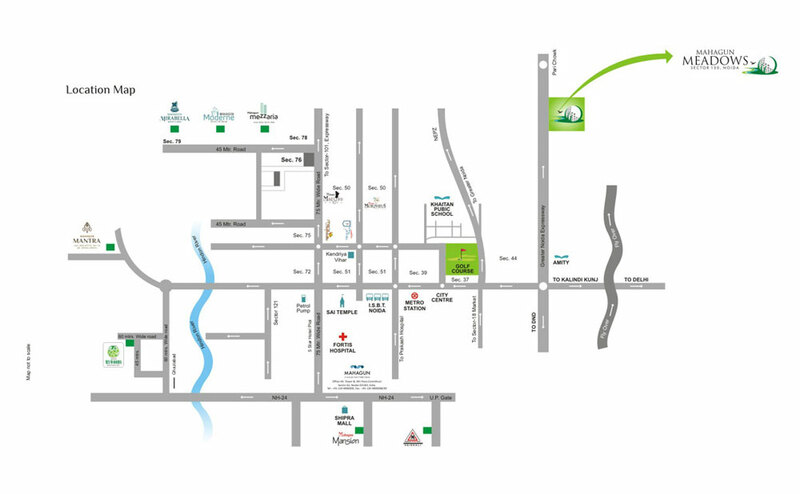 Located bang on Noida Expressway is big advantage of the project because all major proximity near by it. 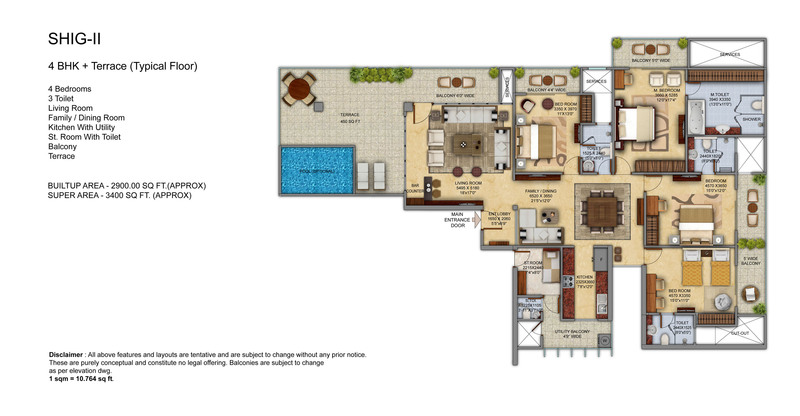 It is one of its kind project which with beautiful siteplan and luxurious floorplans . 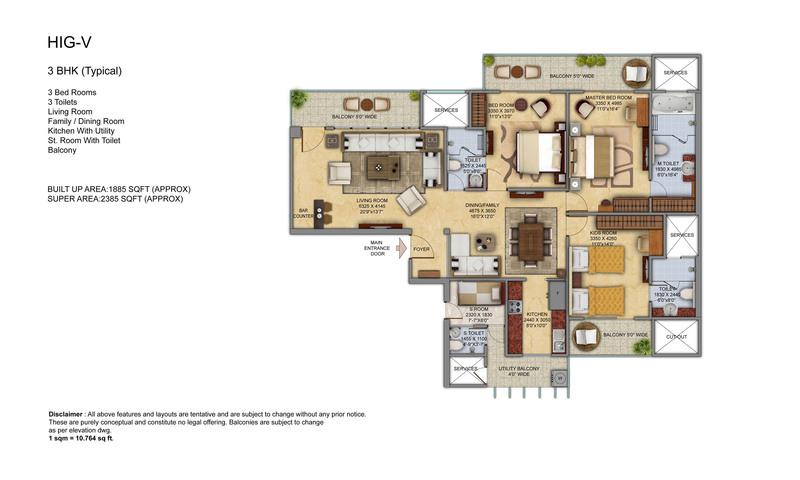 Located on prime location, Mahagun Meadows is most sought after project of the area. Mahagun group believe in delivering the promise. House of by thousands of happy families, Mahaguns has always lived upto customer’s trust. Mahagun Group is a organization of engineers and planers, with ample experience and commitment. Group has shown sustainable excellence for more than 40 years. Mahagun Group is founded on the mission for a Better tomorrow by providing people with high living standards. 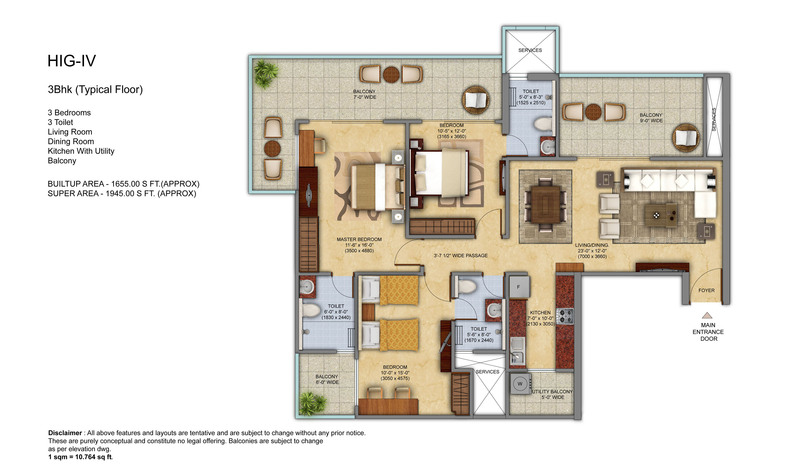 Mahagun group is committed in providing a lifestyle with world class construction, designs and quality. Mahagun has always believed and lived upto for principle “We Deliver What We Commit”. Ceramic tiles on walls up to Ceiling CP fittings (Cera or equivalent). Counter top washbasin. Outer doors & windows aluminium powder coated/UPVC. Internal door-frames of Maranti or equivalent wood All Doors Flush shutter of 8 feet Height. Wood work below the working top in kitchen. POP/Gypsum Plaster finished walls & ceiling with OBD In kitchen 2 feet dado above the working top and 5 feet from the floor level on remaining walls by ceramic tiles. Plumbing done with CVPC pipes or equivalent to avoid corrosion.